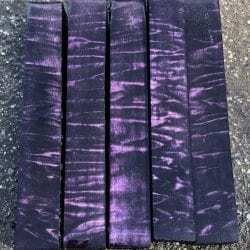 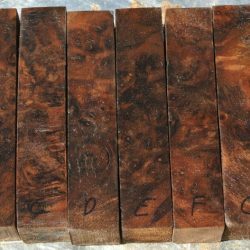 We offer a huge selection of wood pen blanks in many different species of wood. 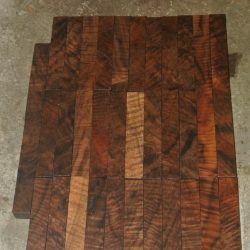 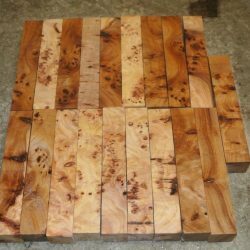 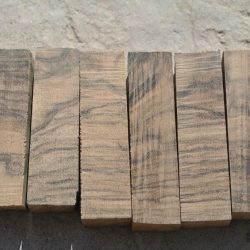 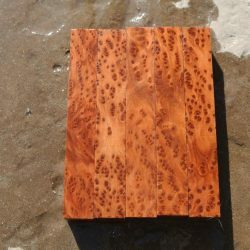 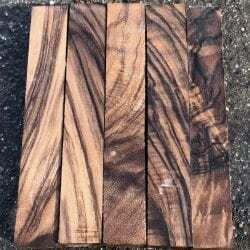 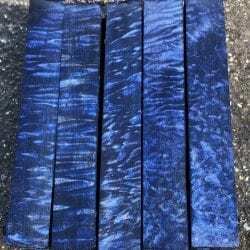 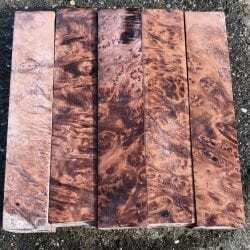 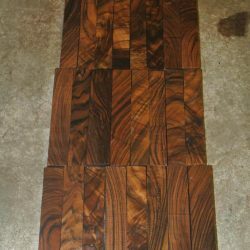 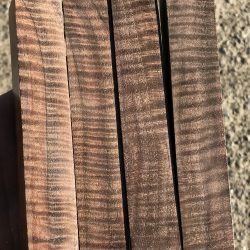 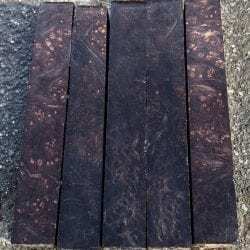 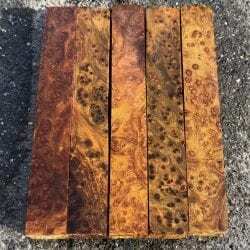 We carry Marblecake English Walnut Blanks , Figured Claro Walnut Blanks , Figured Bastogne Blanks , Red and Blue Gum Eucalyptus Blanks , Quartersawn Sycamore Blanks , Ebony Blanks , Lace Redwood Burl Blanks, Curly Redwood and many more. 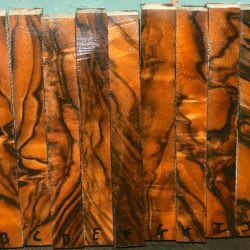 We cut our wood pen blanks at a standard 3/4″x5″ , but if there is a certain size you are looking for we can cut to your specifications.